Inspiring donors once again, Tom and Sherry Ramsay of Meridian R.V. will match donations up to $5,000 in support of our patient emergency care room campaign. Thank you for your generosity and continued support of the health of our community! 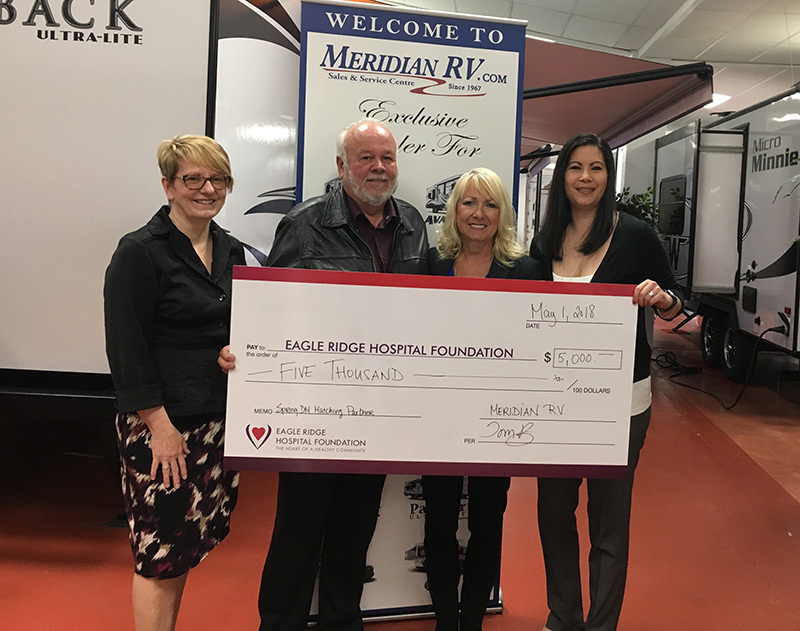 Pictured: Charlene Giovannetti-King, Executive Director, Eagle Ridge Hospital Foundation, Tom and Sherry Ramsay, Owners, Meridian R.V. and Kristina Murray, Annual & Planned Giving Officer, Eagle Ridge Hospital Foundation.